The opposite of Murphy’s law is know as Yhprum’s law (duh) which states: “Everything that can work, will work.” I got to witness it first hand while shooting this scene. To compliment the awesome light a flock of birds flew right into the frame. I managed to capture of two(the second one might take longer to spot) of them in this 2 shot panorama. I like the composition of the scene, and the dark-light contrast from right to left in the cloudy sky… a very pleasant image. 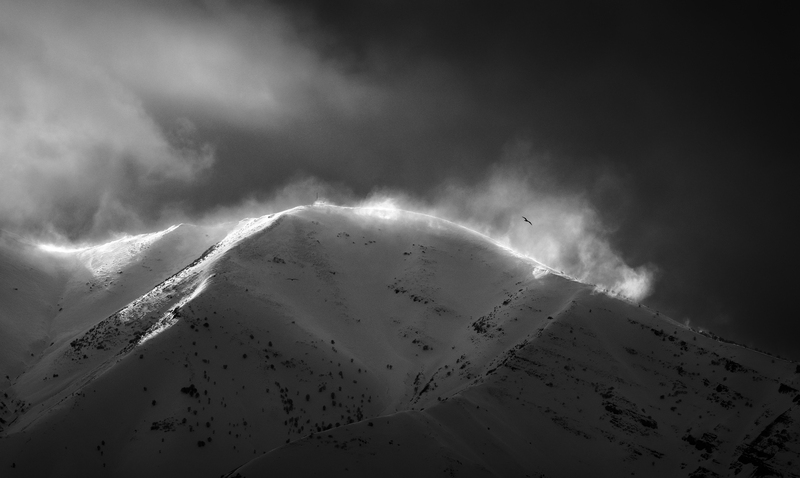 The light on that blowing snow along the ridge-line is spectacular. And i like how you have processed to surround it with pretty dark shadow areas, it does a great job of emphasizing the dramatic light in this scene. @Antonello_Provenzale @Mark_Price @Ed_McGuirk Thanks for the kind words! I’m not seeing the second, but that first really adds to a cool image!